Your career is okay, then without a warning, the economy goes down or the once-stable company that you work for is facing bankruptcy. Before you realize it, you’re ordered to start packing because it’s your last day of employment. Sudden unemployment will force you to deal with the challenges that come with losing a job. Dozens of questions and worries come to mind— how will I pay my bills? What if I get sick? Where do I go from here? This phase can be both scary and exciting. If you have a back-up plan that will help minimize the scary part of sudden unemployment so you can focus on the possibilities of a new career. A back-up plan is an important part of your career strategy because it teaches you to adapt to market changes and be flexible in your professional life. While it’s impossible to control everything, a carefully organized back-up plan will give you some semblance of control. Just knowing you have a back-up plan in place will minimize the helplessness you’ll feel after getting fired. 1. Save- This is extra savings, on top of your 401K contributions. Ideally at least two months’ worth of your pay check, or two months’ worth of expenses, whichever is easier for you. If you’re living pay check to pay check, things won’t go well for you if you get laid off. If you feel like your salary is barely enough for you to save money, try working a side job, or evaluate your budget to see where you skimp a little to save extra money. 2. Know your priorities– Look within yourself to identify what you really want to achieve in your career. Are you improving your skills in the hopes of opening your own business or are you aiming to go all the way to the C-suite? Do you only work because of the salary or because you’re really passionate about your job? Use your answer to these questions when writing your back-up plan. 3.Create short term goals for your career– Nothing encourages a person more than a taste of success. Let’s say your back-up plan is to find a job in a company doing business in the same industry as your previous employer. If that’s the case, a good short term goal would be to list three of these companies and network with recruiters or HR managers that work there. 4.Learn other skills- It’s normal to lose your confidence after losing your job. Many people don’t have any idea what to do if they don’t find a job in their line of work. It’s tougher now for some industries because rumors are going around that artificial intelligence will soon replace many retail, customer service, and lots of entry-level jobs. In some industries, robots have already started replacing people’s jobs. Avoid redundancy by learning other profitable skills that you can use to find another job in a different industry. 5.Keep your resume updated- It’s easier to update your resume every time you get a new job or accomplishment rather than to update it after a couple of years. It would be virtually impossible to remember all of your accomplishments and job responsibilities by then. Besides, it’s always nice to have an updated resume so you can use it for unexpected career or business opportunities. 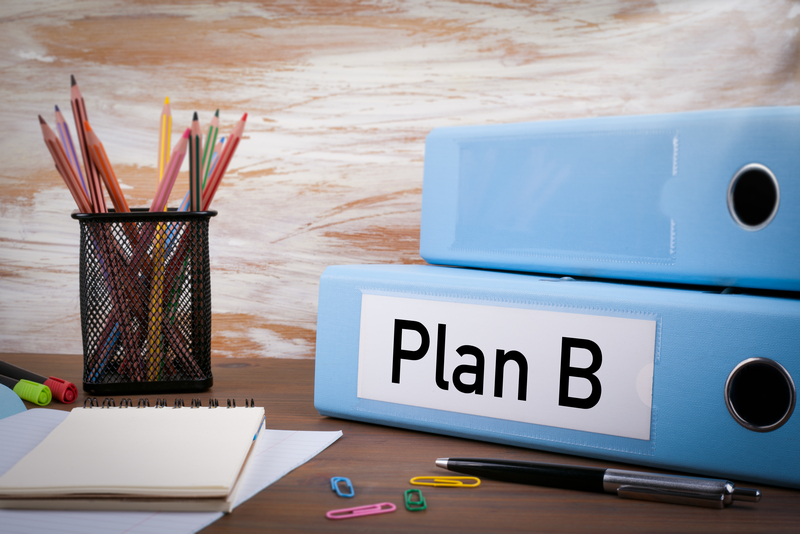 Having a back-up plan can do wonders for your career. A back-up plan can help you deal with setbacks and anything life throws at you, while minimizing the time you spend feeling stuck. If you’re still at loss on what to put on your plan, try getting career coaching sessions.